I’ve been obsessed with novels before, rereading them until they are dog-eared and finding like-minded people with whom to spend hours dissecting the nuances and favorite characters or scenes. Mostly, I’m an escapist in my entertainment choices. I prefer mysteries or grand adventures with a side of romance or something completely fictional having to do with vampires and other mystical creatures. I do NOT enjoy reading something that is gut-wrenching or horrific that leaves me feeling hollow and wrung out at the end. I’ll stick with happily ever after, thankyouverymuch. In light of that confession, my resulting love affair with this story caught me completely off-guard. 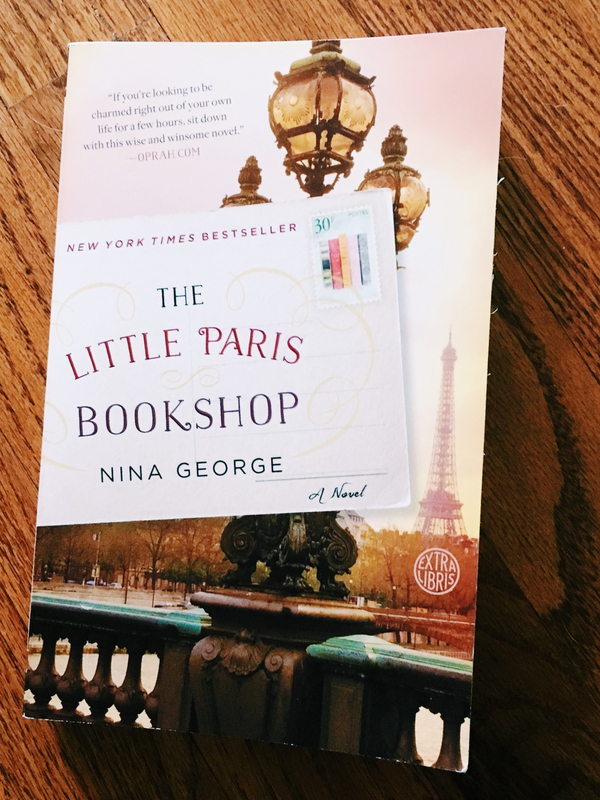 I picked The Little Paris Bookshop, by Nina George, up on a whim from the library (because, PARIS!) and within pages knew I would need my own copy. I’ve reread it with a pencil in hand, highlighting passage after passage and then staring off into space pondering the eloquent and lyrical words on the page before me. Monsieur Jean Perdu simply stopped living after the love of his life walked out without warning. He has denied himself EVERY emotion to avoid feeling her loss and over the course of twenty years has walled himself off from any but the most superficial connections to others. His name, in fact, literally means lost and is quite apt for his mental state at the beginning of the story. 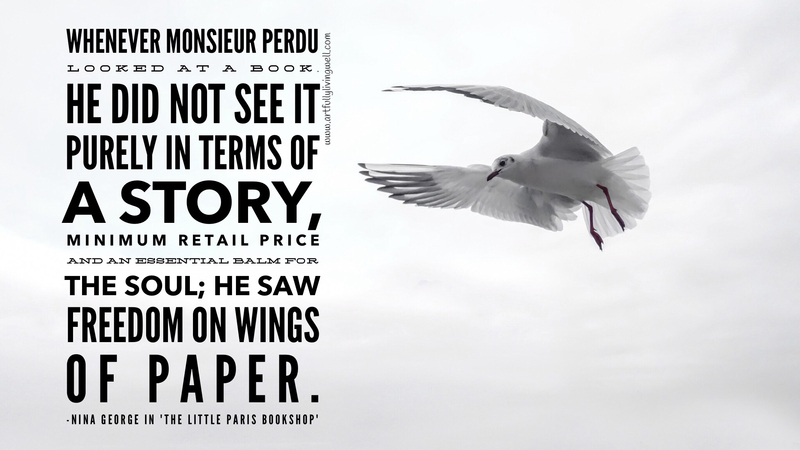 And yet…He spends his days as a literary apothecary on a barge-turned-bookstore on the Seine River in Paris. From his watery storefront, he diagnoses the secret ailments of his customer’s souls and prescribes books to cure them. Books for crying or to stop. Books for laughing. Books for learning. Books to build a fragile person up and books to illuminate the faults of others. The only person he cannot diagnose and cure is himself. But cracks begin to appear in his carefully crafted isolation as a twenty-year-old letter from his love resurfaces – one he had never had the courage to read – and he realizes there was much more to the situation than he had believed. Monsieur Perdu sets off to make amends and in the process allows himself to connect with his unlikely but loyal companions. These connections allow him to begin to heal and live again, for only in accepting his feelings of grief and despair can he be open to the positive emotions of belonging, friendship, happiness, and love. The author, Nina George, wields delightfully gentle prose as she guides us through the dissolution of M. Perdu’s stone fortress and his subsequent revival. 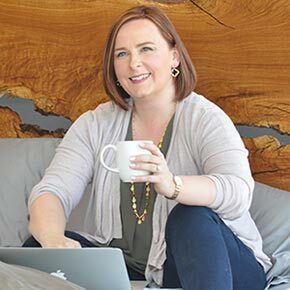 She provides us, her readers, with line after line of universal truth, applicable to our own lives for dealing with emotions both large and small. While The Little Paris Bookshop isn’t what I would call brain-candy, it does provide a wonderful journey with a happy ending. It is truly a book for book-lovers, who will recognize the power a well-crafted tale has to cure what ails you.